This is a display case that sits on top of a counter. It has wavy mirrored glass on the two sliding back doors that show some pitting, which is quite desirable to show off its age. We have both sliding doors, but one of the doors is off the track and placed inside the showcase. It has a wood frame with some scuffs, especially on the back doors. 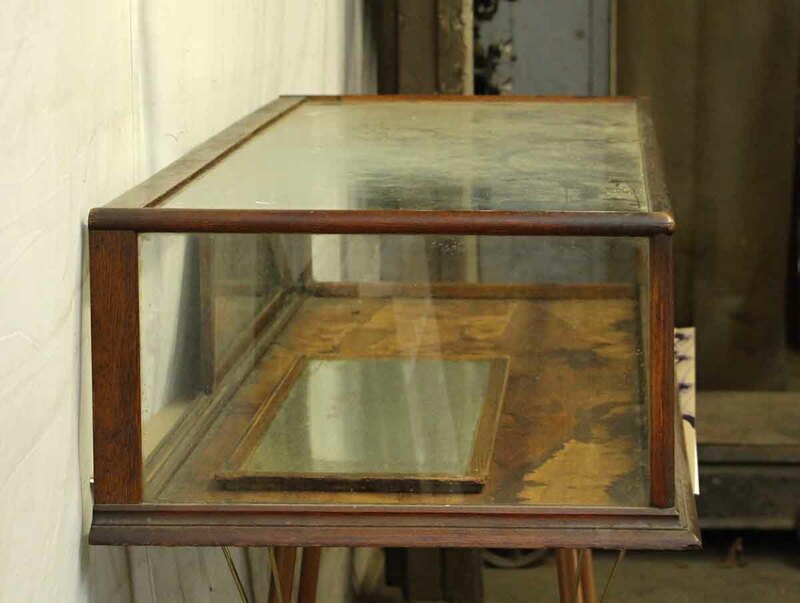 The inside bottom of the showcase shows some stains or discoloration. There is a yellow sticker on the front glass that can be easily removed.